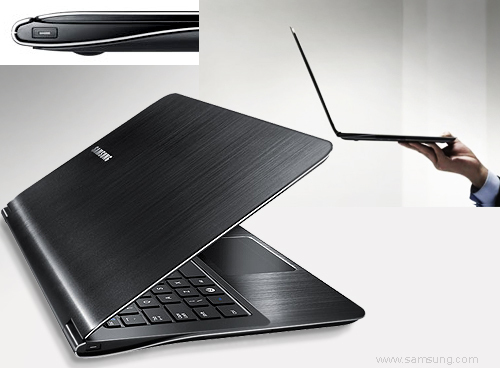 Designed with mobility in mind (with an ultra-thin 16.3mm profile and weighing only 1.31kg), the sophisticated arching curves of the Samsung Notebook Series 9 are crafted from Duralumin, a lightweight material twice as strong as aluminium. Series 9 integrates an Intel® Core™ i5 Processor 2537M with up to 4GB memory and a 13.3" HD LED Backlit anti-glare widescreen display. Other features are backlit keyboard, a large multi-touch clickpad for intuitive navigation and a power-efficient lithium polymer battery which runs for up to 6.5 hours. Dimensions: 328x 226x 16.3 mm.